Weekend Project? Plant a Spring Garden! Looking for a fun weekend project? Planting a spring garden will not only beautify your home, but it will brighten your mood and help the environment too! Although nights are still chilly here in New York, the days are definitely warming up. Having a successful spring garden is all about selecting the appropriate plants for your current climate. With the temperature fluctuations in the northeast at this time of year it is best to look for a hardy species. 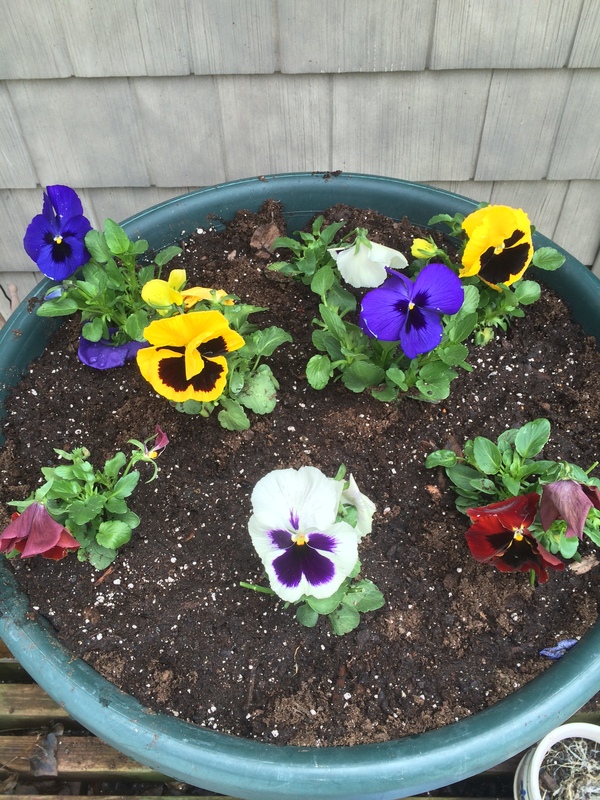 Pansies (pictured above) are a great choice because they appear bright and pretty yet they are able to withstand cool evenings. Another great choice is the pansies’ miniature cousin…the viola. 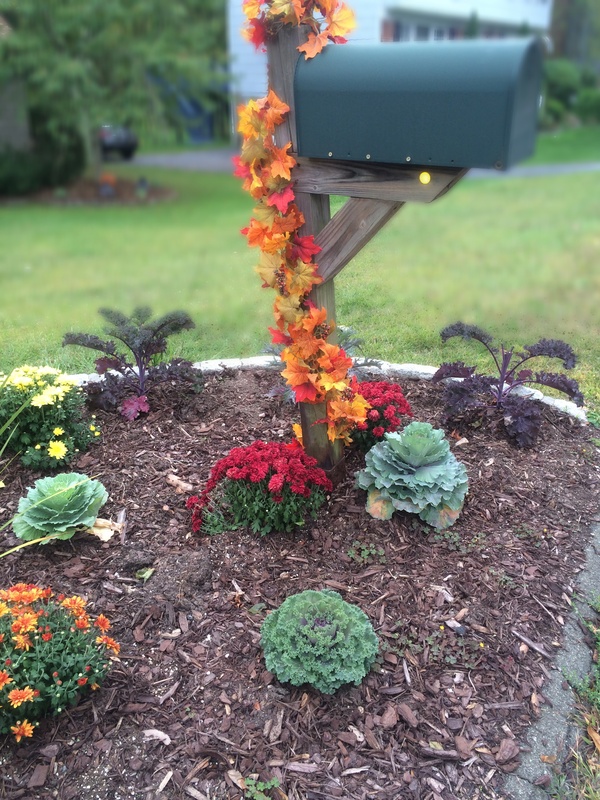 Your garden can be as simple or as elaborate as you want it to be. 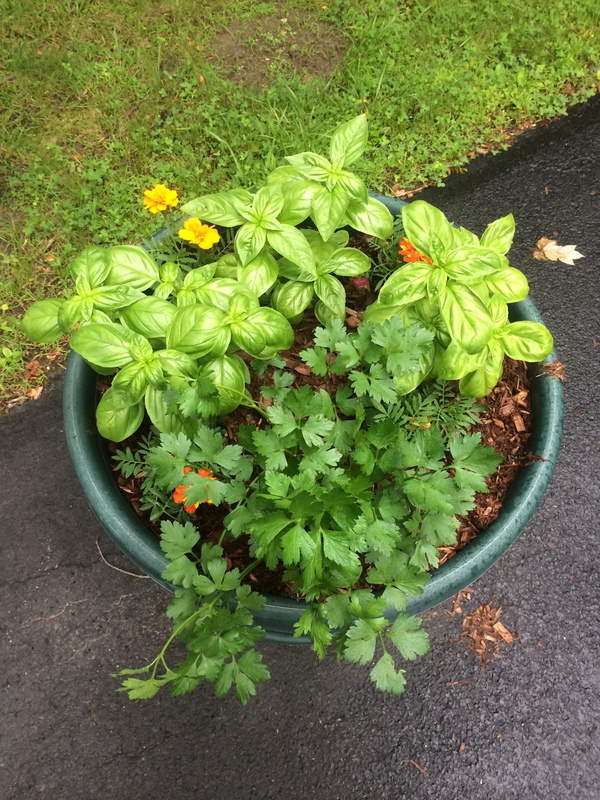 As you can see above, I have planted a simple container garden. This morning I was lucky enough to find an AMAZING deal…my local nursery was selling mini-flats (4 plants each) for $1.99. I bought 10 flats, which yielded me 40 plants for $20.00! I was able to plant several small gardens this afternoon for my extremely minimal investment. Now my home looks bright and cheerful. Go Green: Simple Ways You Can Help to Save Our Future! Today is Earth Day. 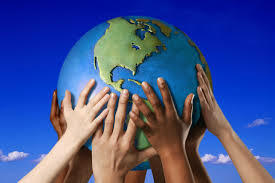 Being that our planet houses us and allows us to live it seems like every day should be Earth Day, doesn’t it? Not too long ago, I was reading the cover of the Book Review section of the New York Times. The title article was called ‘Without a Trace’ and it was reviewing a book called ‘The Sixth Extinction: An Unnatural History’ by Elizabeth Kolbert. Kolbert’s book discusses the alarming rate at which climate change is affecting our planet. Of Kolbert’s book, The New York Times article says, “In lucid prose, she examines the role of man-made climate change in causing what biologists call the sixth mass extinction — the current spasm of plant and animal loss that threatens to eliminate 20 to 50 percent of all living species on earth within this century.” Yes, you read that correctly…20 to 50 percent of ALL LIVING SPECIES on this earth are threatened with extinction BY THE END OF THIS CENTURY!!! If you are currently saying, “Holy Crap!”, then you are not alone…I said as much myself. You can read the Times article here.